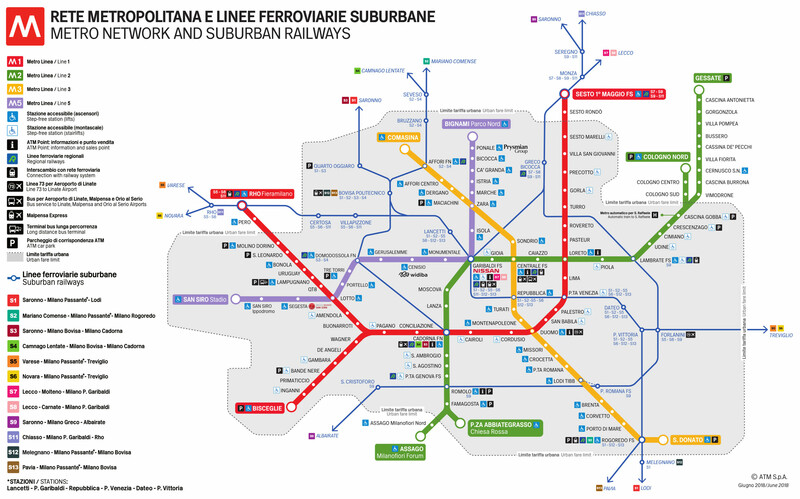 Do you need to move around Milan by using the public transport system? There’s a wide range of solutions that will meet your needs! 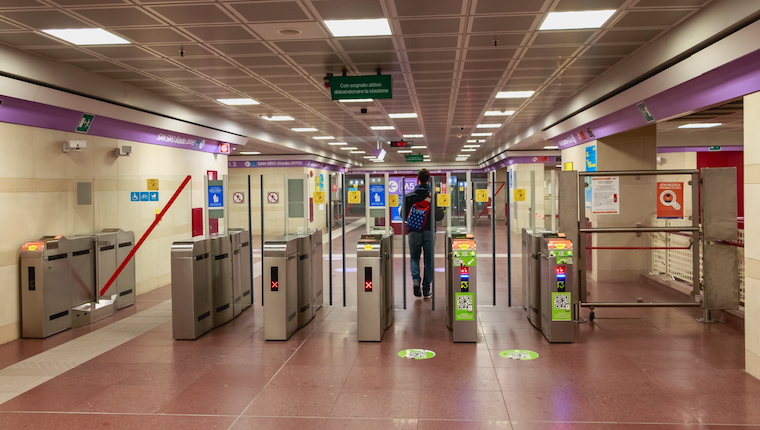 Below you will find details about metro tickets and travel cards, which can be used to take buses, trams and trolleybuses too. Single ticket -Validity: 90 minutes after stamping. Valid for a single journey on the underground or rail network. Price: 1,50 €. You can buy this ticket via sms, by sending a message to 48444 and typing ATM. This ticket is valid to reach Linate city airport as well. Weekly 2x6 Pass - Two journeys of 90 minutes each a day for 6 days of the same week. Each journey may include a single journey on the underground and rail networks. The pass is personal and non-transferable. Price: 10 €. Ticket to reach Rho Fieramilano - Rho Fieramilano is located outside the inner city area. You can use a single ticket (2,50 €) valid for a 105 minutes trip. The return ticket (5 €) is valid for two 105 minutes trips. The Day Pass (7 €) is sold and is valid only on the day of exhibition event until the end of service for an unlimited number of trips to and from Rho Fieramilano. One Day and Two Days Ticket– It is valid for 24 or 48 hours after stamping. Price: 4,50 € (One Day Ticket) and 8,25 € (Two Days Ticket). DO CHILDREN NEED TO BUY A TICKET TO USE THE MEANS OF PUBLIC TRANSPORT IN MILAN? No, they don’t. Children up to 10 years old travel free of charge on all means of public transport in Milan. Standard urban tickets may not be used to travel from, to and within the extra urban area of Milan. Click here to download the list of the stations located outside the urban area of Milan. Price: price varies according to the distance and areas (see details below). Validity: different validity periods depending on the zones and semi-zones crossed on ATM’s intercity routes and those integrated in the SITAM system. On some lines tickets may be purchased on board with a surcharge. The ticket or travel card must be validated at the beginning of the journey. Download here the extra-urban map. Recommended for passengers making daily journeys between Milan and the extra-urban area. Download here the extra-urban map. The ticket must be validated at the beginning of the journey. The weekly travel card (Weekly 2x6 Pass) consists of a paper ticket and a ticket with a magnetic strip, the ticket stub. This magnetic stub must always be stamped at the turnstile and can be used on vehicles equipped with a magnetic-electronic validator. The stub is an integral part of the Weekly 2x6 Pass and must be presented in the event of ticket checks: before using it, it is mandatory to write the identification number of the 2x6 paper ticket on the front. PLEASE KEEP IN MIND! that tickets and travel cards should be handled and stored with care and be stamped before every journey. Tickets are strictly personal and non-transferable, so they may not be used by third parties. Please present your ticket or travel card to the ticket inspectors upon request. Do you need assistance? Feel free to contact us! How many days will you stay in Milan ?